If you liked the original Arlo, you will love the updated “Pro” model. Which adds rechargable batteries and 2-way audio. Very slick. Created by the talented team that brought you the Red Dot award winning original Arlo wire-free camera, Arlo Pro is sleek, modern, and stylish. 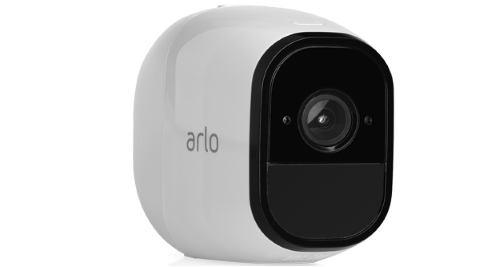 Small but powerful, Arlo Pro is the most ingenious wire-free security camera we have ever seen. The Arlo Pro camera seamlessly integrates with the rest of the Arlo product family and the Arlo app, allowing you to easily add it to your existing Arlo wire-free system.